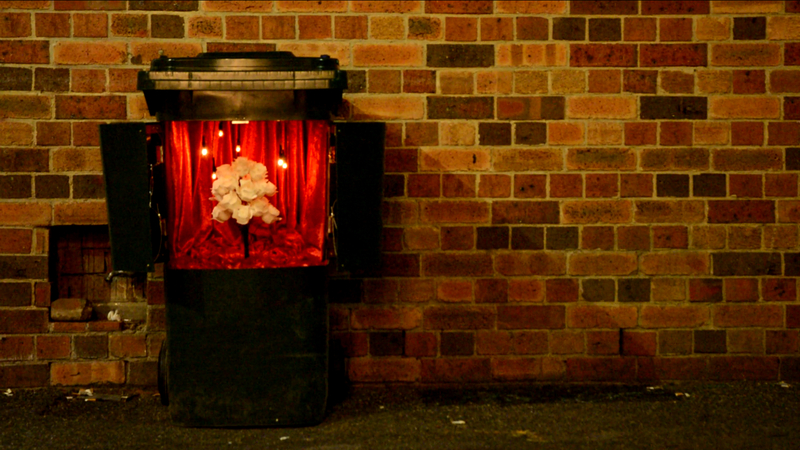 An conventional wheelie bin transforms to create a dream-like spectacle in the suburban streets of inner Melbourne. “Good Intentions | Wheelie Bin Music Box” was created as part of “Street | Life”, a collaboration with Bimo Suryojati and RM Altiyanto Henryawan in which elements of contemporary street culture in both Yogyakarta and Melbourne are transformed and presented as performance/installations guerrilla style in public spaces. – Multicultural Arts Victoria Inc.